There are a million ways to jazz up a hot dog, but there was always only one way to make a chili dog; cook up a hot dog, throw it in a bun, and splash some chili on top. Well, now things have changed. Check out this Cornbread Chili Dog Recipe (courtesy of BuzzFeed Food and Ball Park Brand). It’s time to twist up the traditional chili dog! * Note: The original cornbread chili dog recipe called for just one box of cornbread, but we chose to use two 8.5-ounce boxes instead. 1. Preheat grill or grill pan to medium/high heat. Cook hot dogs just until they show grill marks. Set aside. 2. Preheat oven to 400˚F. 3. Pour cornbread batter into a greased and parchment lined 9 x 13 baking dish. Place 6 hot dogs evenly over batter, only gently pushing them into the batter. 4. Bake for 17-20 minutes until bread is set and lightly browned. 5. Heat a saucepan over medium high and sauté onions and garlic until turning translucent, 2-3 minutes. 6. Add ground beef to pan and break up with spoon to crumble. Cook until meat is no longer pink and cooked through. Season with salt and pepper and all of the dried seasonings. 7. 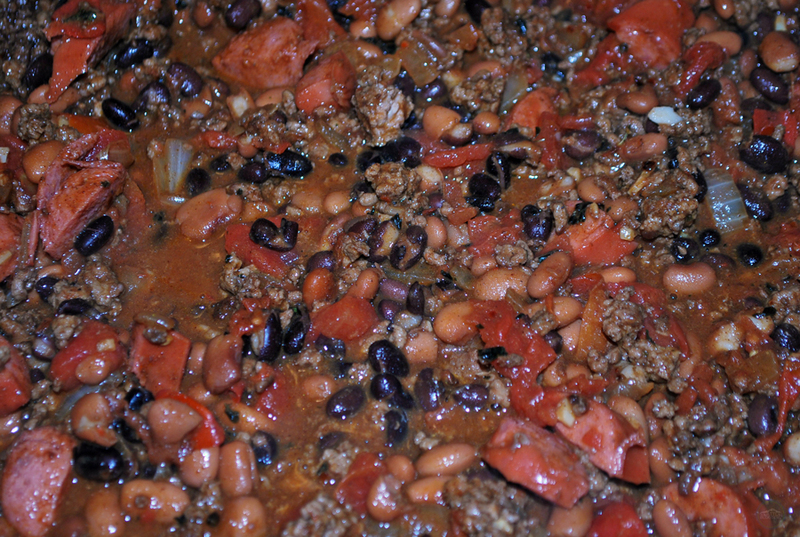 Drain the beans and add them to the seasoned meat along with the diced tomatoes and hot dog. 9. 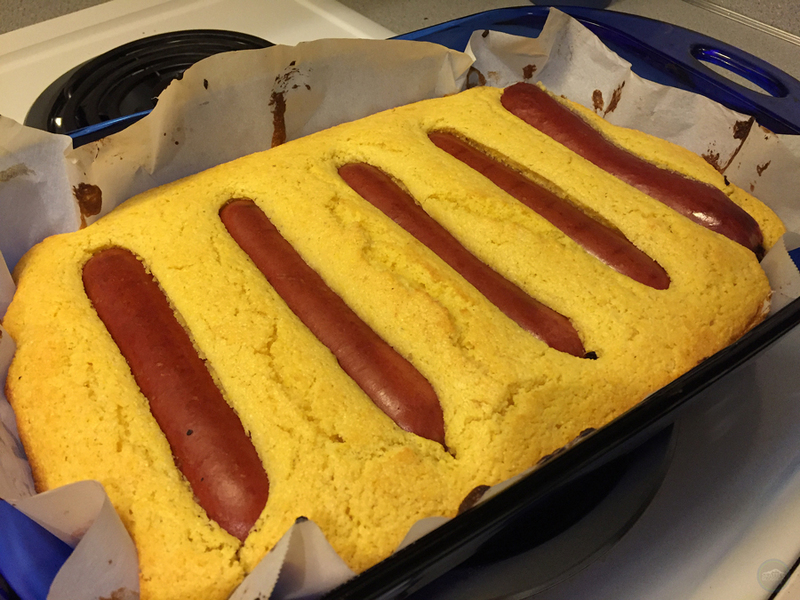 Cut the cornbread along the side of each hot dog, leaving a bit of space on both sides to form a bun. 10. Spoon a hearty scoop of the hot dog chili over and sprinkle with cheese. 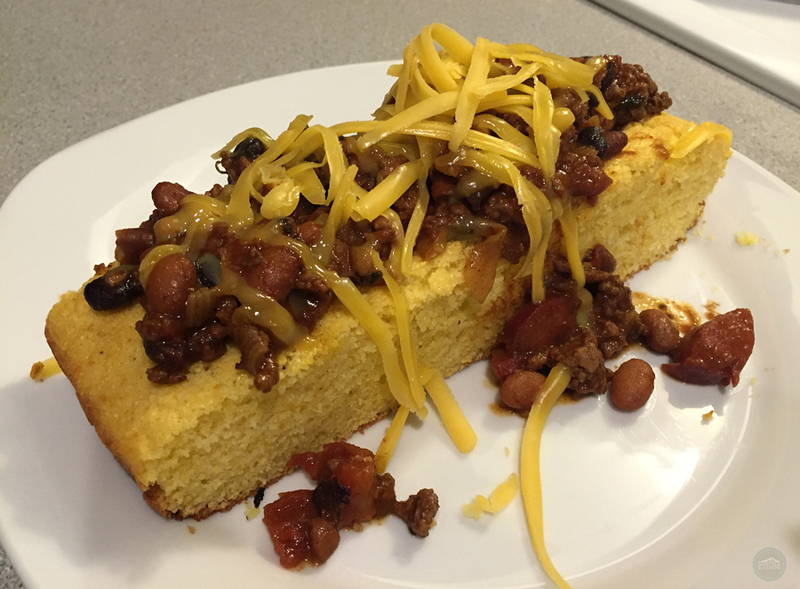 Do you have a favorite cornbread chili dog recipe? How is it different from this one? We’d love to hear from you! Please leave a comment below or connect with us on Twitter, Facebook, and Google+. 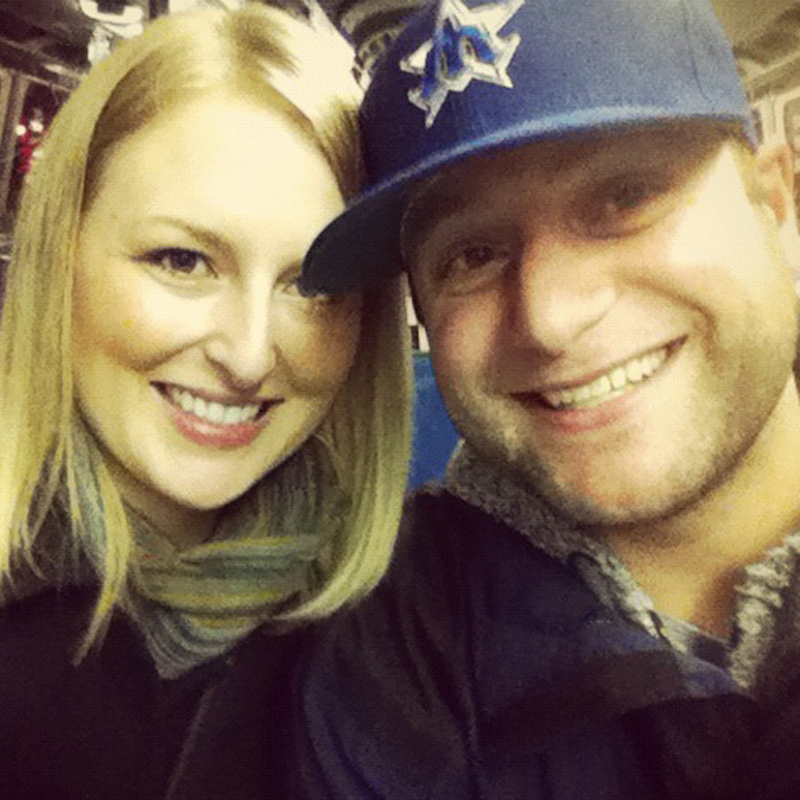 Don’t forget to also check out Seattle Bloggers for more fun recipes and great adventures around the Emerald City!